Many producers are alarmed by signs that the administration would accept Chinese purchase target pledges for commodities such as soybeans and pork without a promise to lift retaliatory tariffs, said industry representatives, some of whom spoke only on condition of anonymity to avoid consequences for publicly criticizing the administration. Farmers are unnerved by Trump’s enthusiasm for tariffs and his tendency to pick industry winners and losers, even as he promises in general terms to put “America first” in negotiations with the United States’ largest trading partner. As China and the United States aim to finalize a trade truce within the next month, Beijing is considering a U.S. request to shift some tariffs on key agricultural goods to other products, people familiar with the situation said. But Trump still is vowing to maintain some U.S. tariffs as leverage for enforcement, which China could counter by continuing retaliatory duties on farmers despite possible purchase agreements for some commodities. However, Jim Sutter, CEO of the U.S. Soybean Export Council, said he doubted an accord with China would keep tariffs in place, despite Trump’s public declarations. Many American farmers say today’s economic pressure is the most severe since the farm crisis of the 1980s. Profits have been shrinking since they peaked six years ago and last year fell to half of what they were in 2013. Years of bumper crops sent prices for key commodities such as corn and soybeans plummeting — down 40% since 2013. In addition to China’s tariffs, Mexico, Canada and India retaliated against U.S. producers after Trump targeted their steel and aluminum exports to the United States. At the same time, competitors are making inroads in Japan, where the Trans-Pacific Partnership that Trump rejected has lowered duties for other Pacific Rim countries, and another trade deal eased access for European Union products. Powers estimates that Chinese tariffs cost cherry growers in Washington state, Oregon and Idaho $96 million last year. China had been the top export market for cherry growers in the region until last year, when sales to the country dropped 41%, he said. 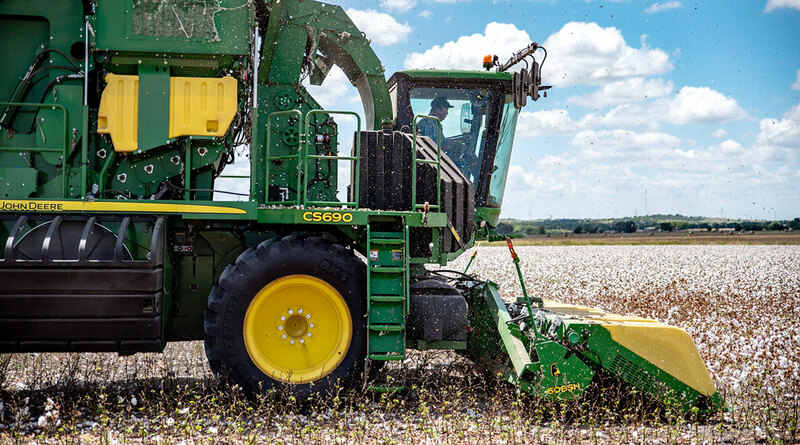 Unless tariffs are removed, it would be hard for American farmers to export much above the purchase agreement quotas in what had been their fastest-growing market. Since the quotas would be administered through Chinese government-controlled entities, Beijing also could use them as leverage, halting or delaying purchases whenever tensions rise with the United States, and by doing so holding farmer livelihoods hostage.